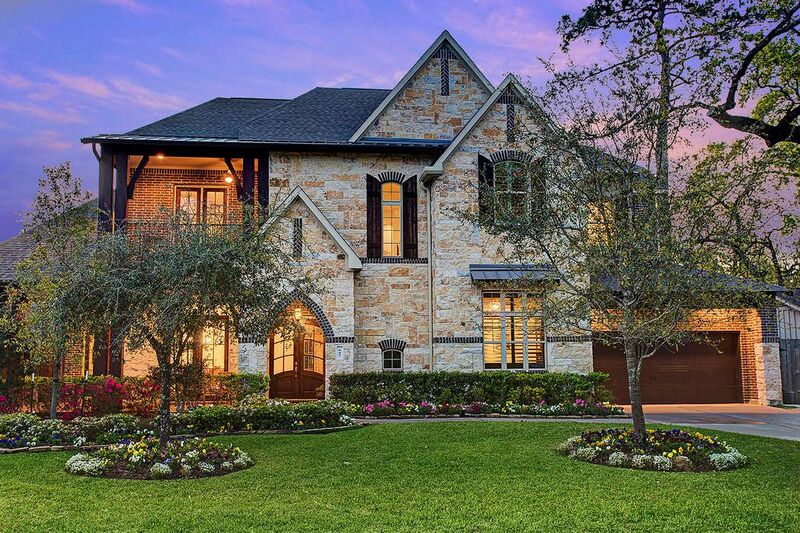 647 Electra Drive, Houston, TX 77079 | Martha Turner Sotheby's International Realty, Inc. 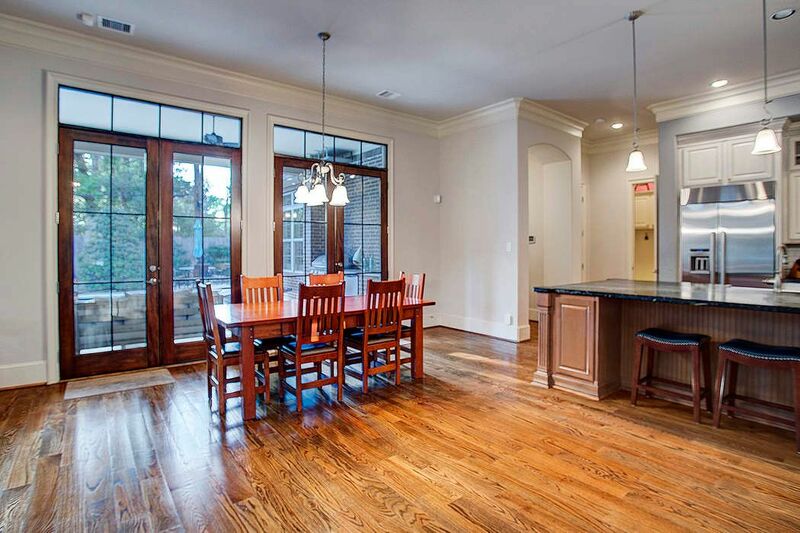 Stunning home in Memorial is zoned to Rummel Creek Elementary, Memorial Middle and Stratford High School. 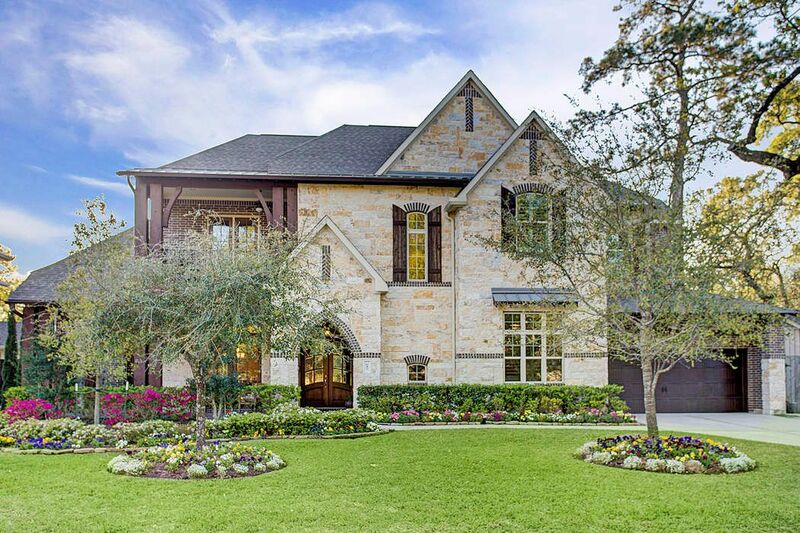 This home was completed in 2014 with lush landscaping and is warm and welcoming. It really is a must see! 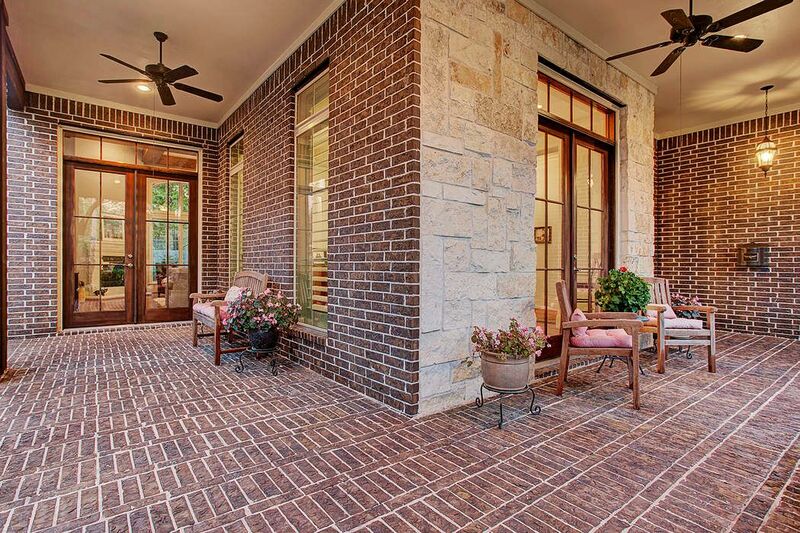 This wrap around front porch with brick flooring and ceiling fans is a great quite place to sit and relax. 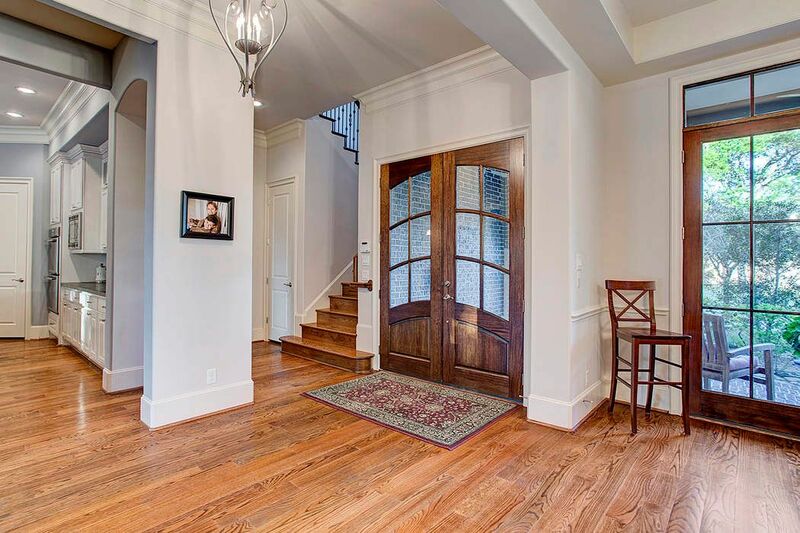 Off the entry is the formal dining with hardwood floors, high coffered ceilings, plantation shutters, French Doors leading out to the front porch. 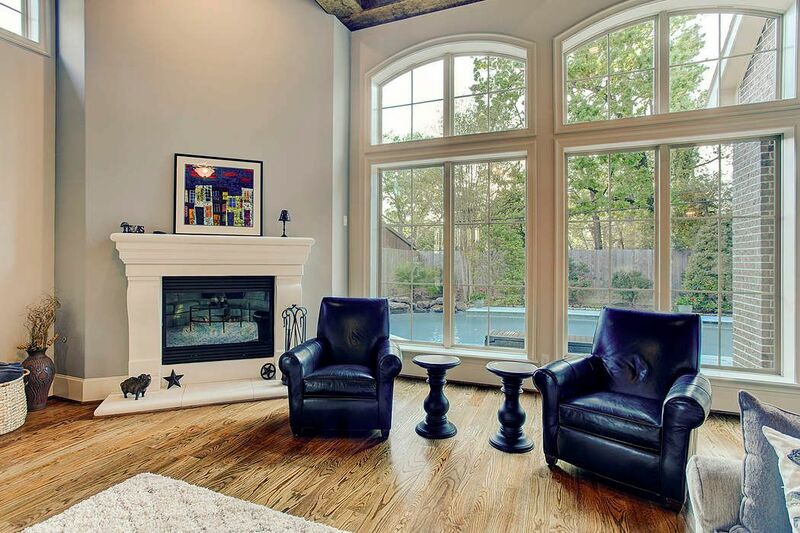 This spacious den has spectacular views of the sparkling pool, Coffered ceilings, hardwood floors, plaster mantel fireplace, ceiling fan, and tons of light from the floor to ceiling windows. Another view of the large den with French doors leading to the front porch. 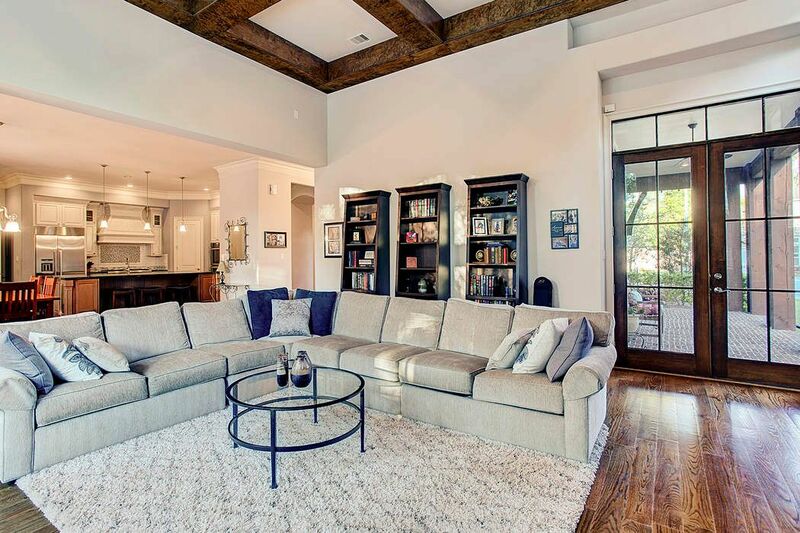 This open concept space is perfect for entertaining. Another view of this wonderful space. 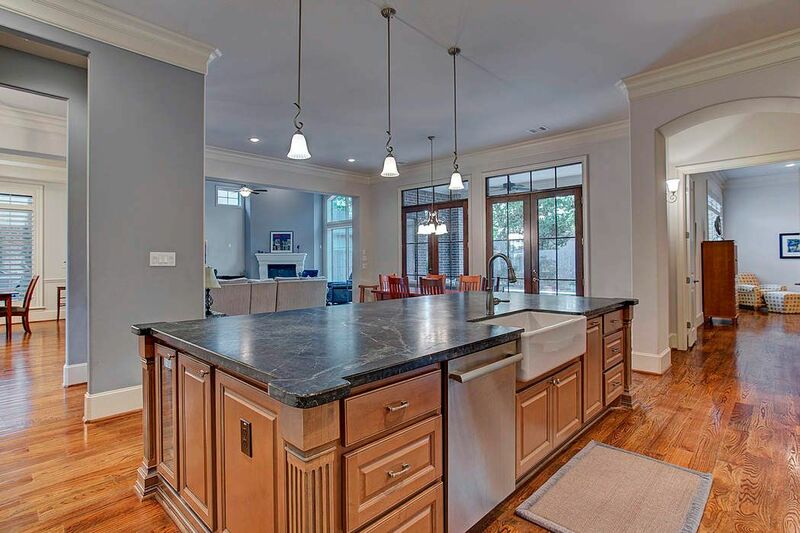 This kitchen is a chefs dream, with stainless steal appliances, soap stone counters, custom cabinets, farm sink high ceilings, hardwood floors, crown molding, and tons of storage. Another view of the spectacular kitchen with tons of storage, glass insert upper cabinet fronts, large walk in pantry, and a huge island. 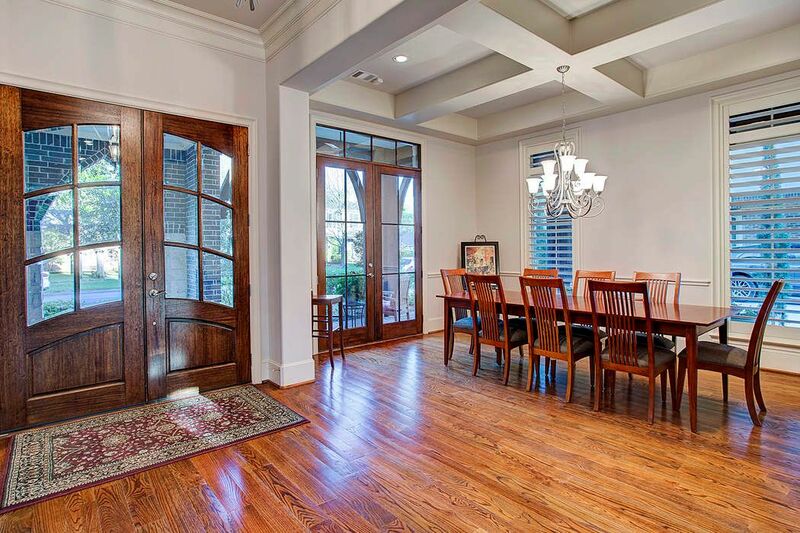 Off of this enormous kitchen is a large breakfast room with French doors leading out to the outdoor kitchen and pool. 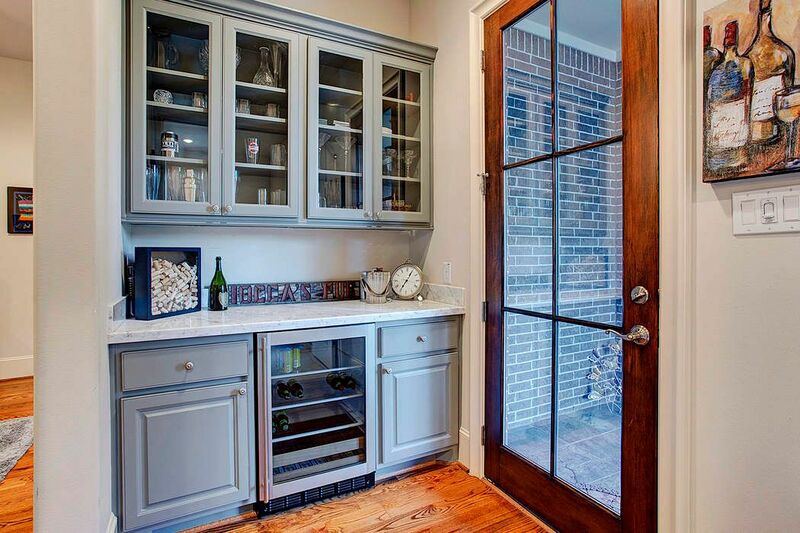 Off of the kitchen is a bar area, with stainless wine /beverage refrigerator. Perfect for entertaining. Off of the entry is a wonderful space that could be a home office/work out room, or just a bonus space. 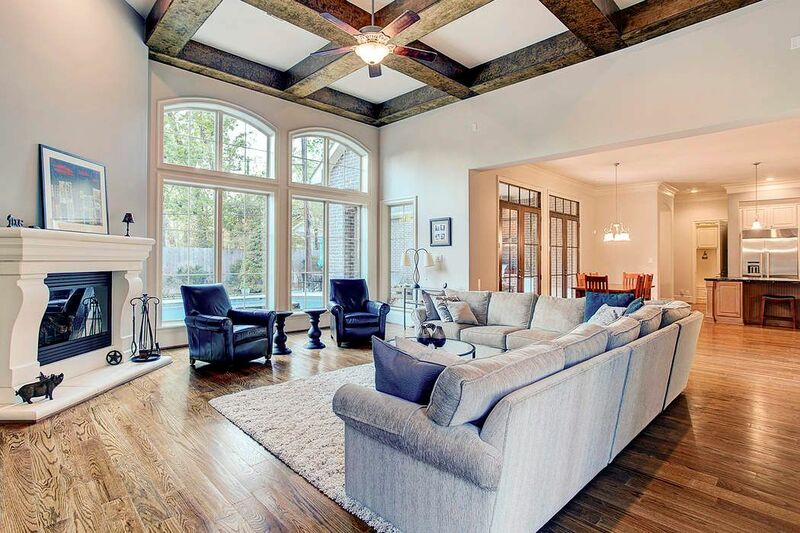 This room also has high Coffered ceilings, plantation shutters, hardwood floors, and wainscoting panels. 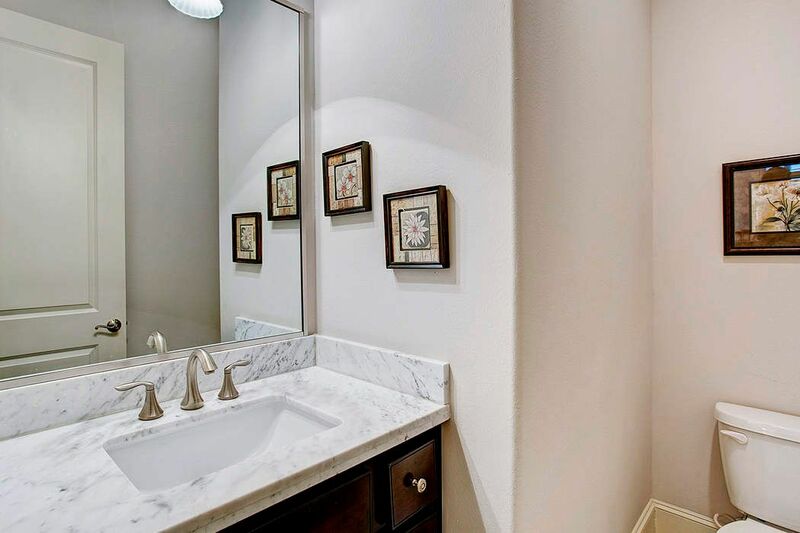 The guest half bath is located off of the downstairs study and has marble counters and custom cabinets. 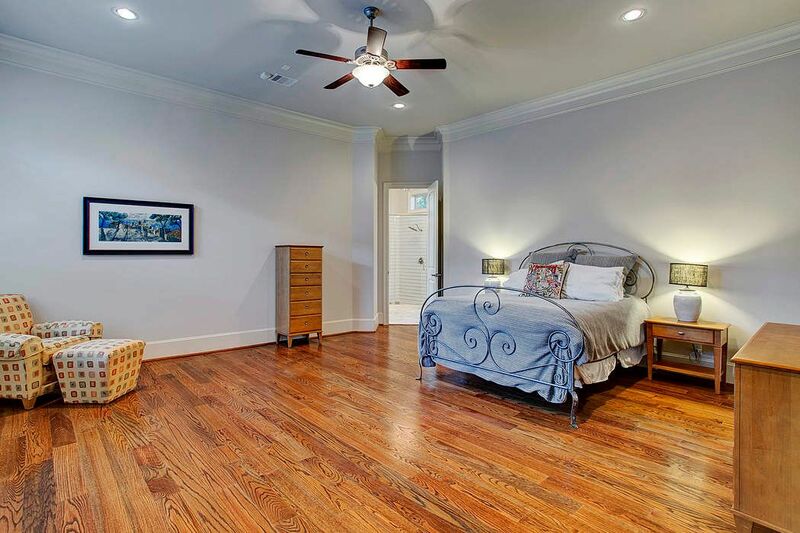 This large master bedroom, is big enough for a sitting room. 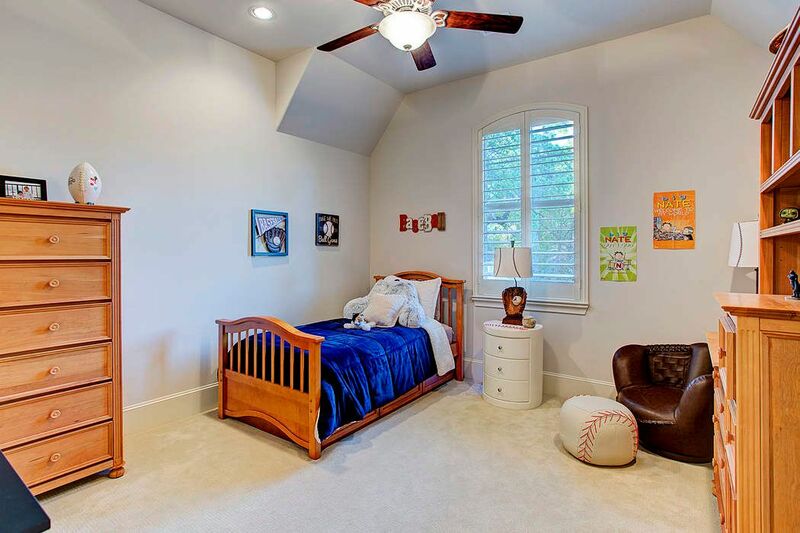 It has hardwood floors, crown molding, high ceilings, and recess lighting. 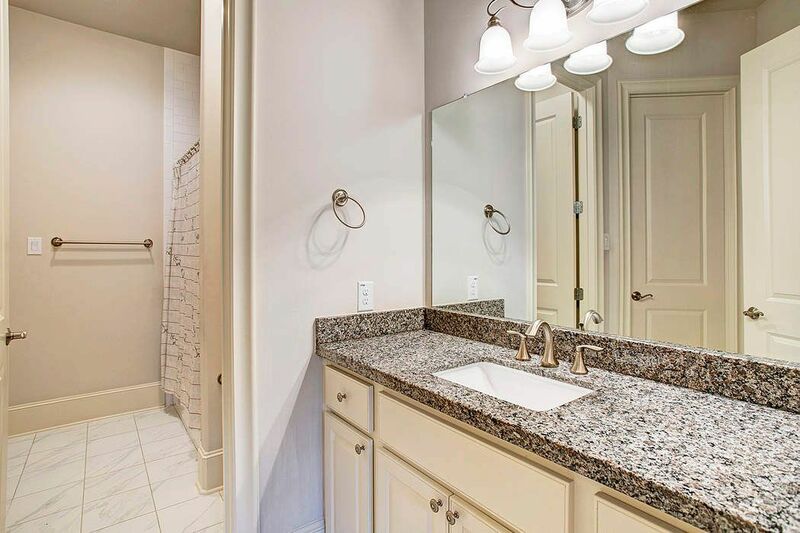 The master bath has double sinks, marble counters, custom cabinets, huge walk in shower, jetted tub, plenty of natural light and two enormous walk in closets. One closet as access to the separate laundry room. Another view of this fabulous master bath. This is one of two large walk in closets. 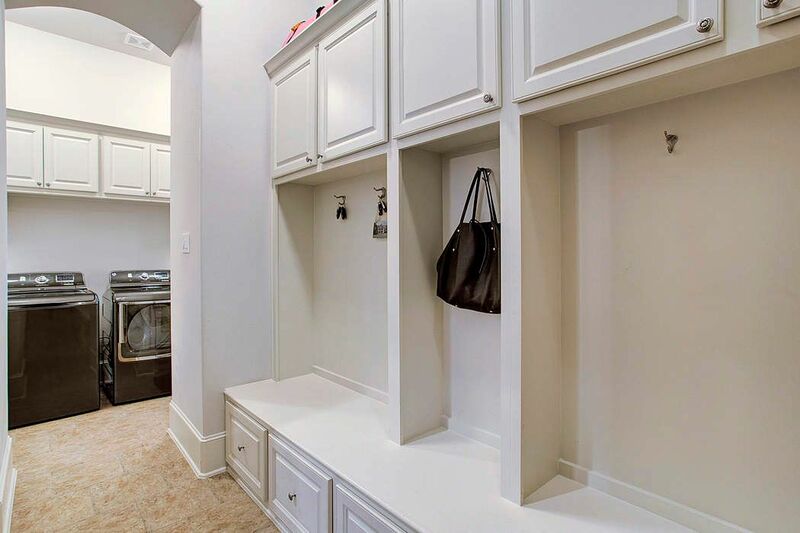 This closet has access to the laundry room. Plenty of custom shelving and built in wardrobe. Upstairs you have a wonderful media room with double doors and a dry bar (that is plumbed for water if you want to make it into a wet bar) and another stainless beverage refrigerator and glass insert cabinets. 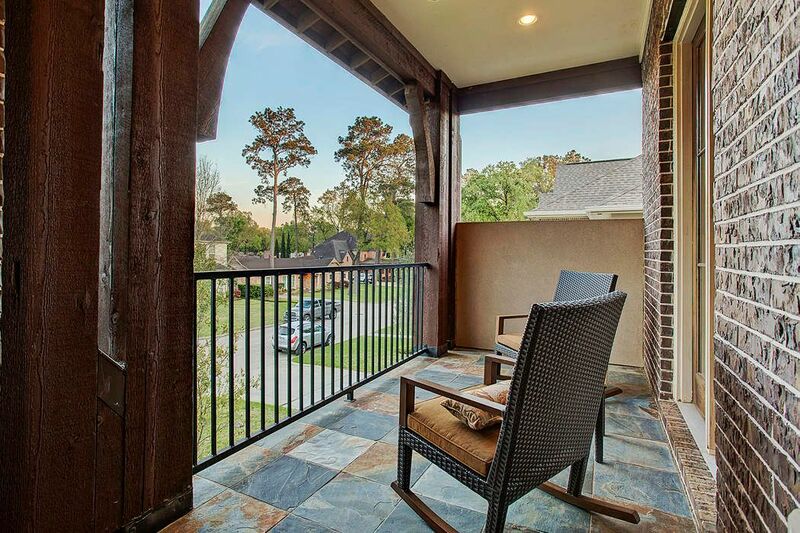 Off of the media room is a private balcony with slate tile and peaceful views. 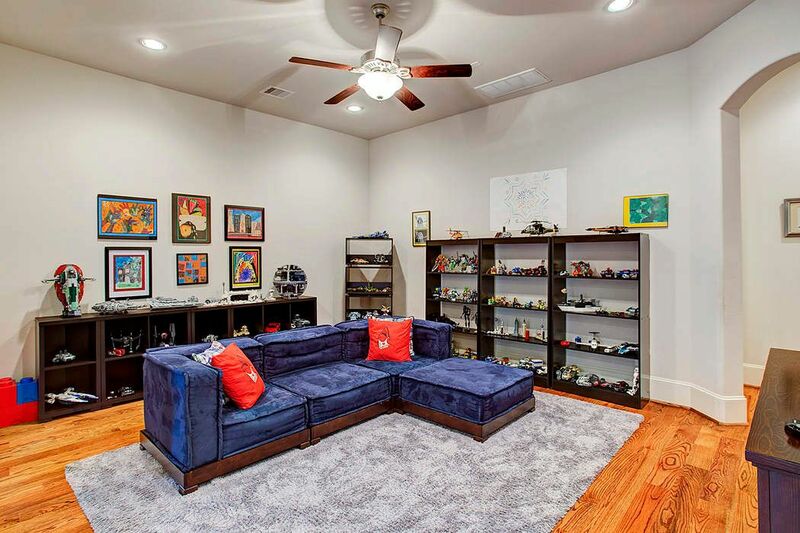 Upstairs you also have this wonderful game room with hardwood floors, ceiling fan and recessed lighting. One of 3 upstairs bedrooms, has private vanity and Jack/Jill bath. 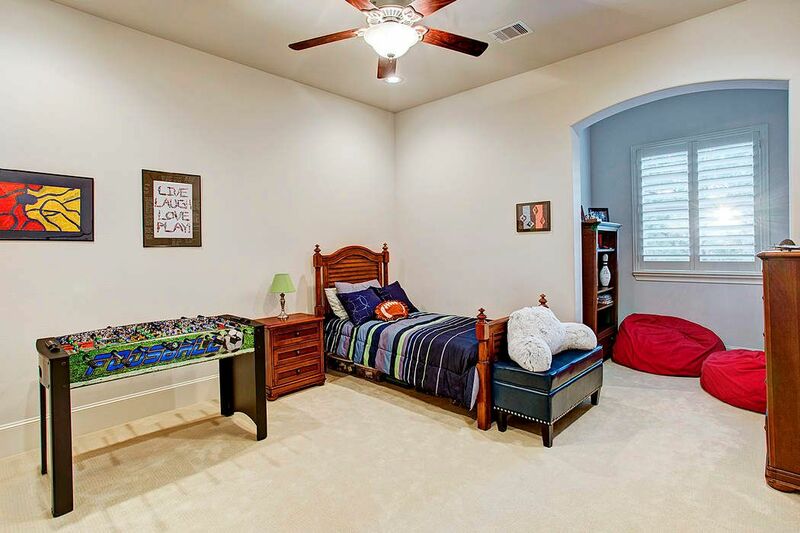 There are plantation shutters, plush carpet, ceiling fan, recessed lighting and walk in closet. 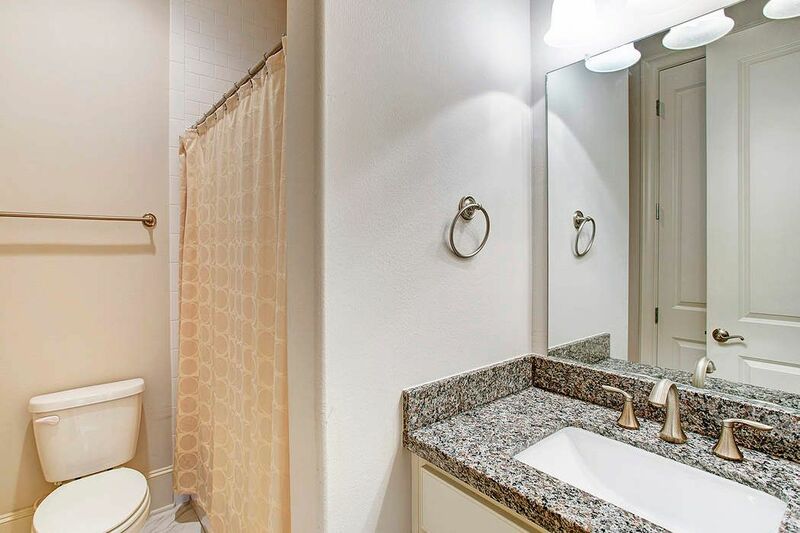 This is a view of one of the upstairs full baths with granite counters and custom cabinets. Another of upstairs secondary bedroom has plush carpet, plantations shutters, walk in closet, private vanity with Jack/Jill bath. 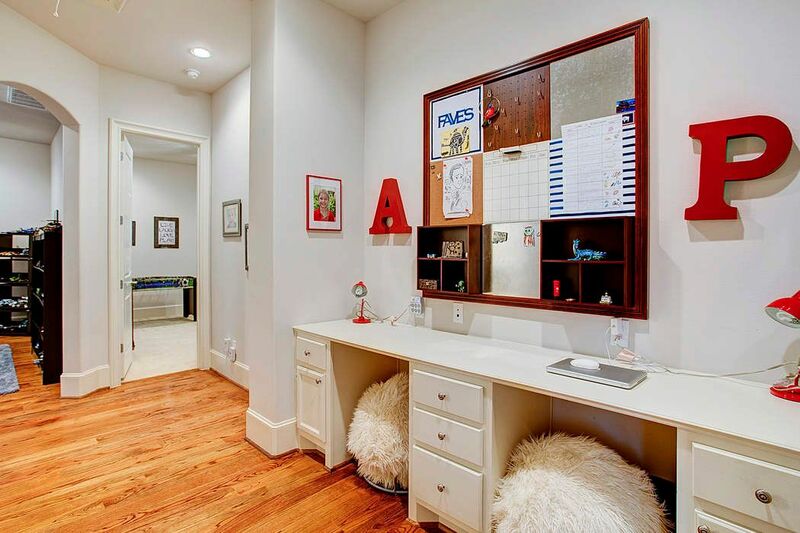 This wonderful homework station has built in desks, tons of storage and plenty of outlets to plug in electrical devices. Another secondary upstairs bedroom with en-suite bathroom and walk in closet. 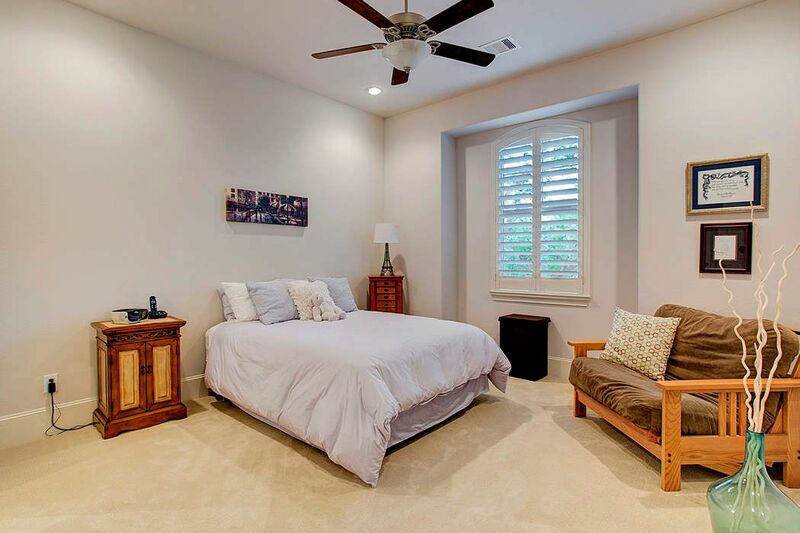 This would be perfect as a guest bedroom with a separate sitting area and plush carpet, plantations shutters, recessed lighting, and ceiling fan. 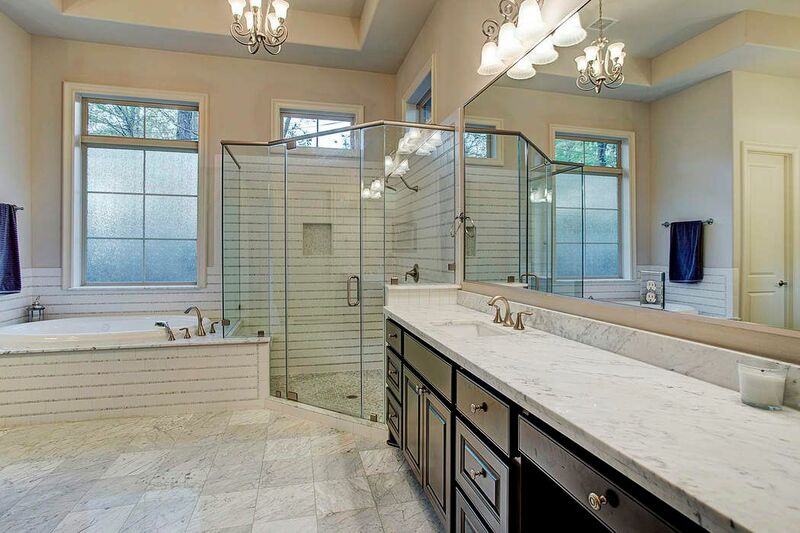 This en-suite bath has granite counters and custom cabinets with a tub/shower comb. 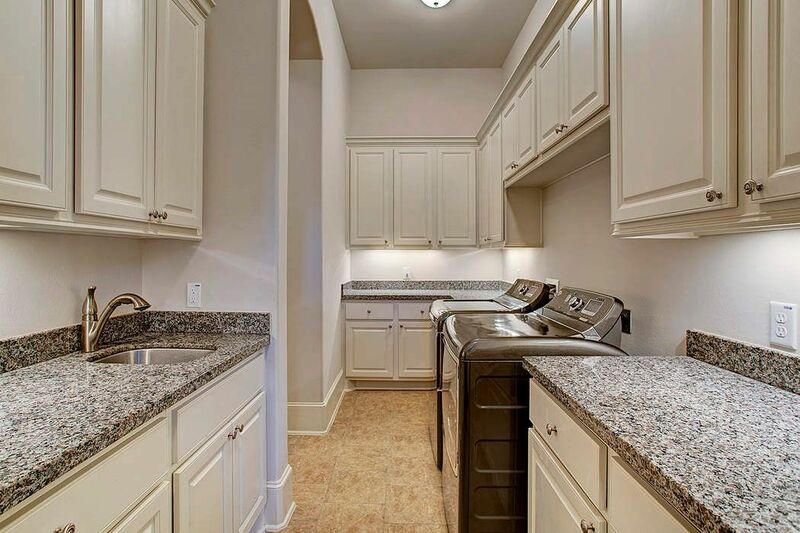 This is the laundry room of your dreams with granite counters, tons of storage, a wash sink and plenty of folding room. Off of the laundry room you have this wonderful mud room with hooks and cabinets to organize everyones things and drawers to store things away. 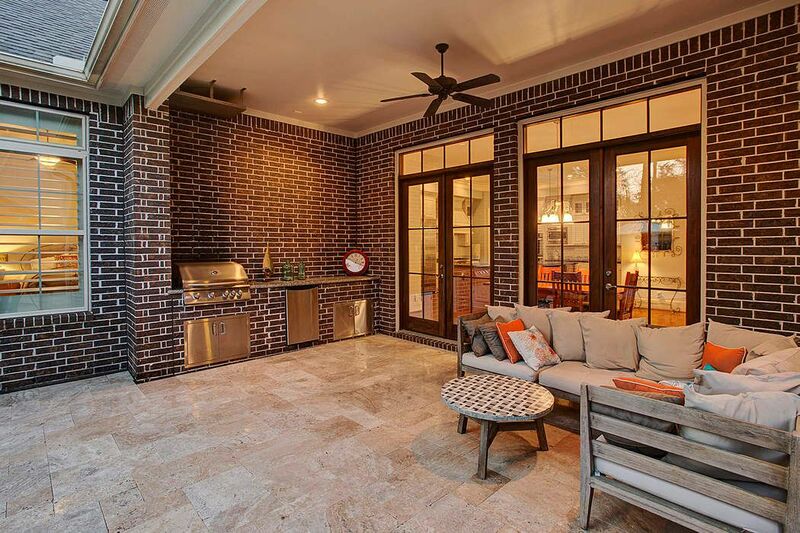 This wonderful covered back patio with outdoor stainless grill, stainless refrigerator and plenty of storage space with granite counters is perfect for entertaining. This sparkling pool with rock water fall and shallow wade area is the perfect place to spend your hot summer days. 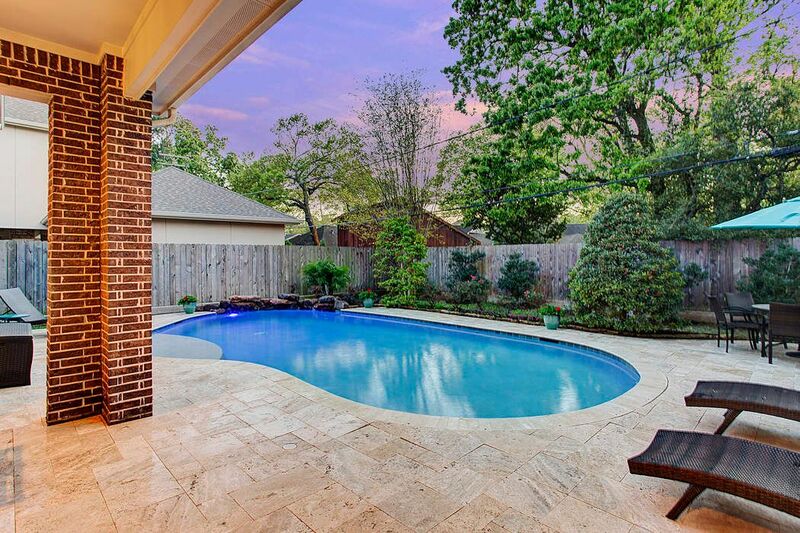 Another view of this gorgeous pool and covered patio area. Off of the pool to the left not photographed is a grassy area perfect for play or pets. 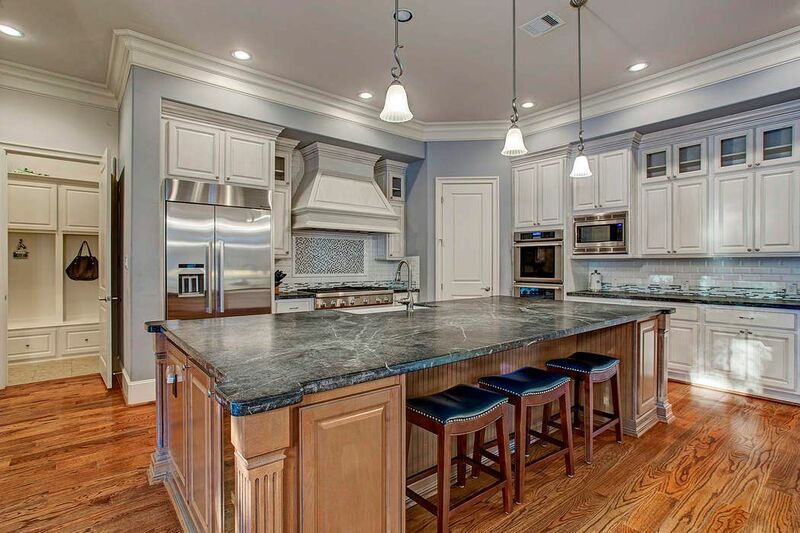 $1,450,000 4 Bedrooms4 Full / 1 Partial Baths4,936 sq. ft.
Electra’s timeless elegance of this 4 bedroom, 4.5 bath home comes across in the park-like yard, inviting wrap-around porch, gleaming warm hardwoods and bright open concept floor plan. The great room and dining room are gracious in size and have soaring ceilings with floor-to-ceiling windows overlooking the sparkling pool. 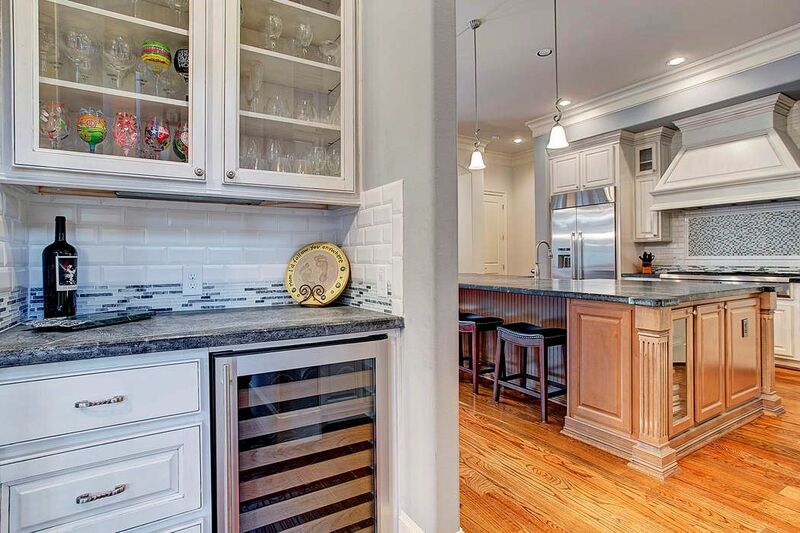 The kitchen is a chef’s dream with storage galore, white cabinets and beautiful low maintenance soap stone counters. 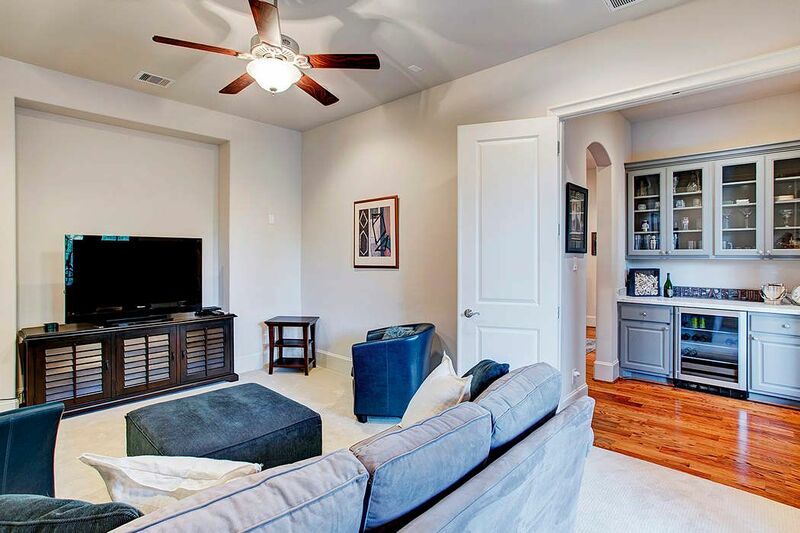 The downstairs master is enormous with plenty of room for a sitting area. 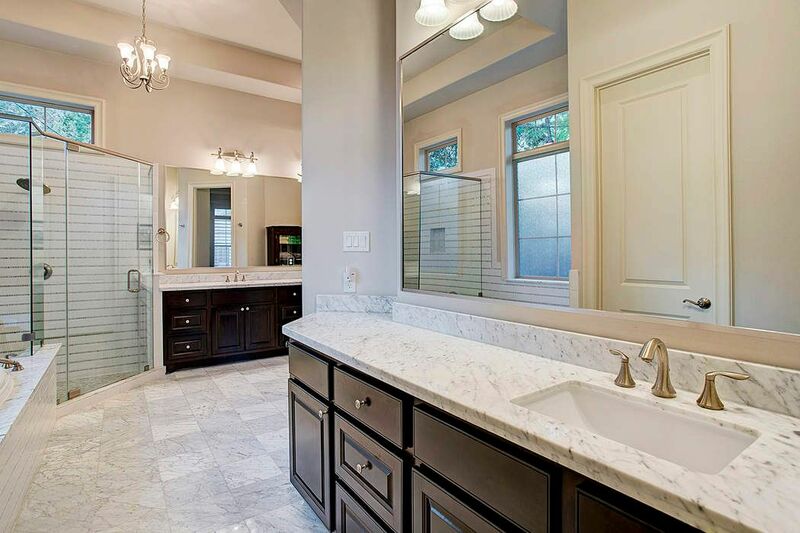 Marble in the master bath and two large walk-in closets top off this luxurious master suite. Upstairs you have 3 nice sized bedrooms and a media room with balcony that all surround a nicely sized game room that has a built-in dry bar. Inside and outside are made for entertaining. 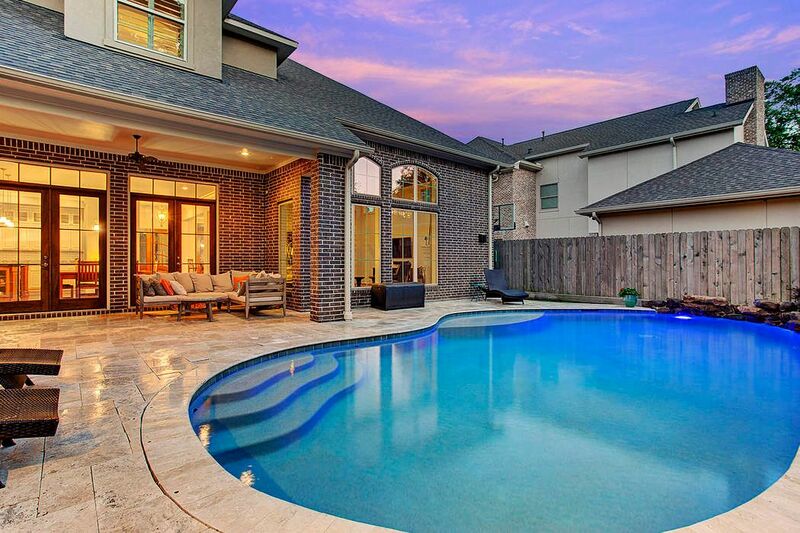 Outside you have the covered patio with a wonderful outdoor kitchen and plenty of room for dining and lounging while enjoying the sparkling pool. This one really is not to be missed.